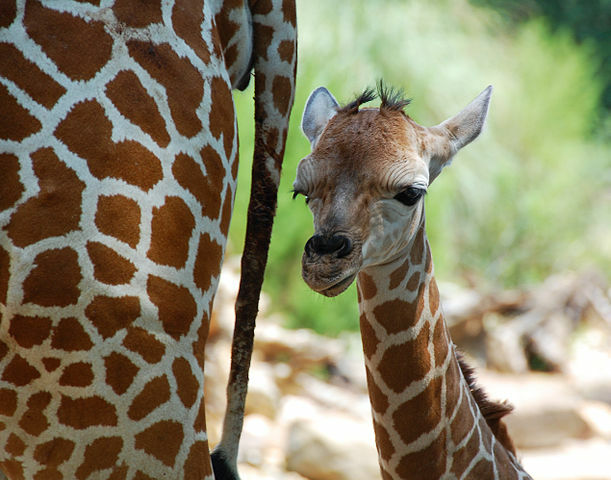 Willow, a one day old baby Giraffe with its mother. I had no intention of writing today, but coming upon this story and the petition that accompanied it, changed that in a heartbeat. For as long as I can remember, the Giraffe has been the object of my affection and admiration. There is something so regal, so fragile, so graceful, so endearing about them, how could you not love them. In my lifetime, I have, with little shame, amassed a collection of Giraffes in every form, all manner of clothing, toys for my children and my dogs of course, stationary, Christmas cards, birthday cakes, Giraffes made of paper, wood, copper, bisque, brass, you name it, if it is a Giraffe anything, I have it. In my defense, many of the above were gifts, as my love of this animal was well-known. This entry was posted on December 5, 2013 by stockdalewolfe. It was filed under Animal Rights, Uncategorized and was tagged with Animal activism, Animal rights, Animal welfare, Giraffes, Petitions, Unlawful hunting. The story tears my heart in pieces. It is so awful and those who inflict such suffering are not worthy to walk the earth with the animals it harms. Ellen. Things like that always upset me. But it is needful to know them. I could share horror stories about my experiences in animal health. I just don’t cause it is so harsh to share things I do know. Don’t worry my dear. It didn’t cripple me. It just makes my heart ache and my prayers for the world to increase.